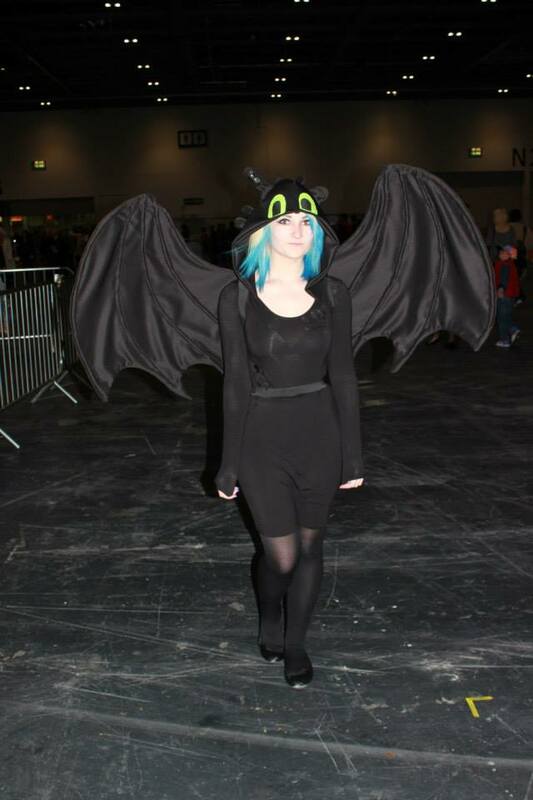 The response to my cosplay was amazing. 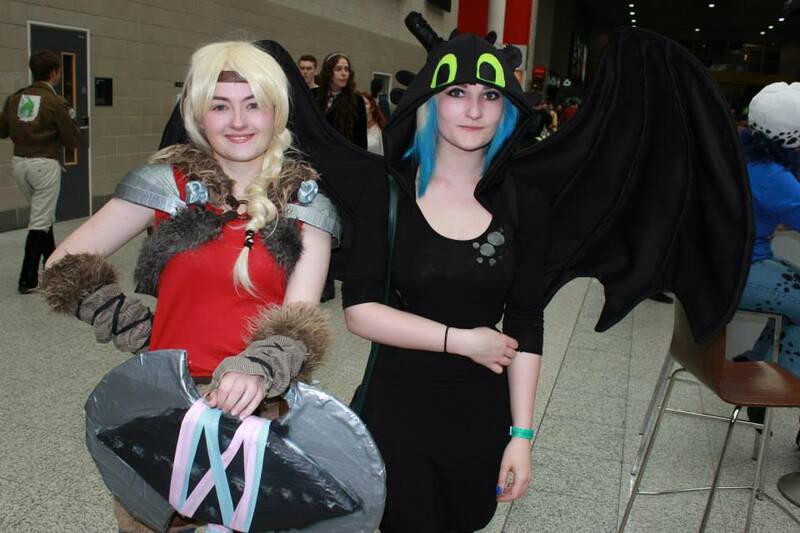 Wherever I went I heard a *gasp* “TOOTHLESS!” And I even met a couple of other HTTYD cosplayers! 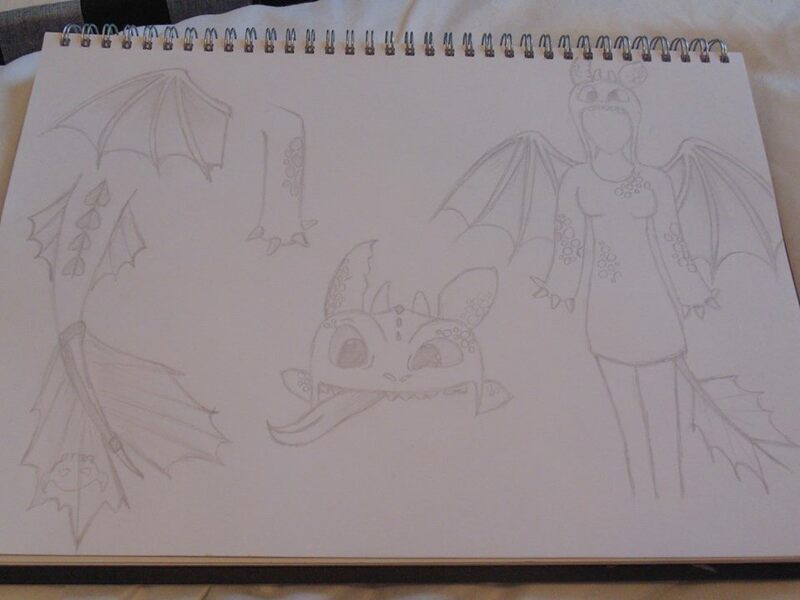 Almost a year ago I drew up the designs for my Toothless cosplay. University work has delayed its creation massively, but it’s finally coming together in time for London. 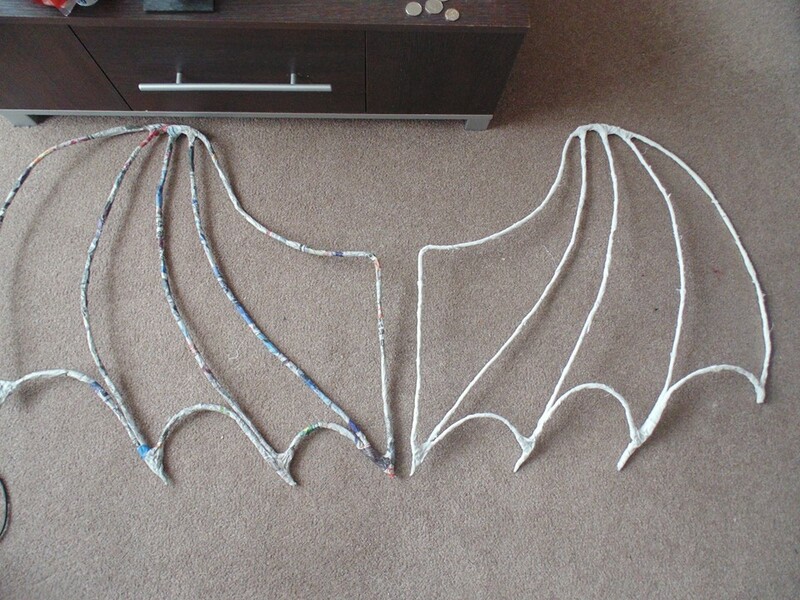 The hood took far less time to complete than the wings. Leftover Scuba-like material from wings. 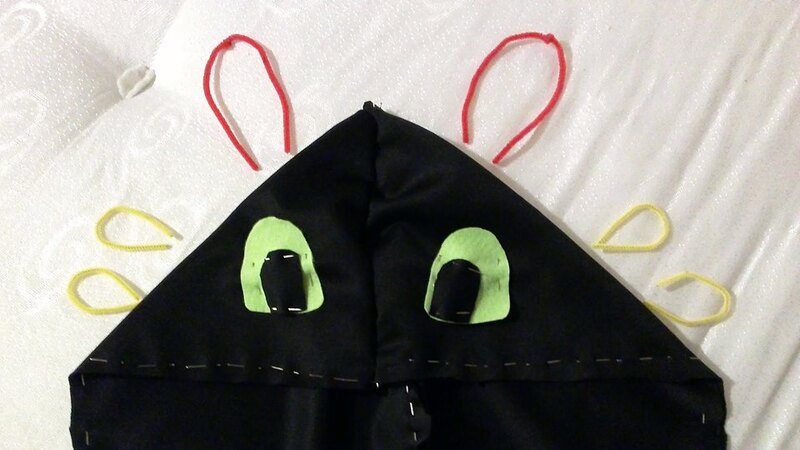 Begin by taking your measurements for half a hood shape. Draw and cut out a template. Double the material and cut out, leaving seam allowance as always. Hem the edges of these pieces, apart from the place where they will join together. 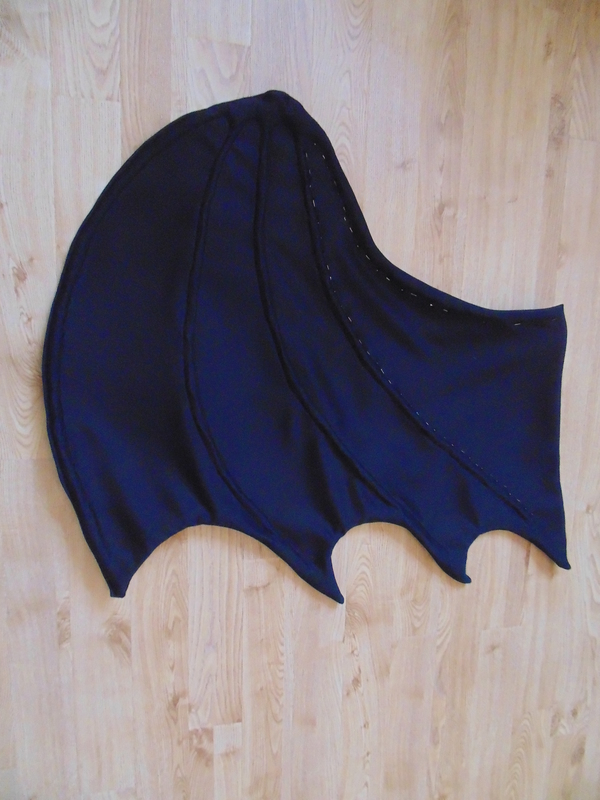 You’ll want to sew the two hood pieces together, but not until you’ve cut out several small black semi-circles. These need to be pinned at regular intervals along the stitching, with the top of the circle facing inwards, between the two hood pieces. Then you can sew it, carefully. 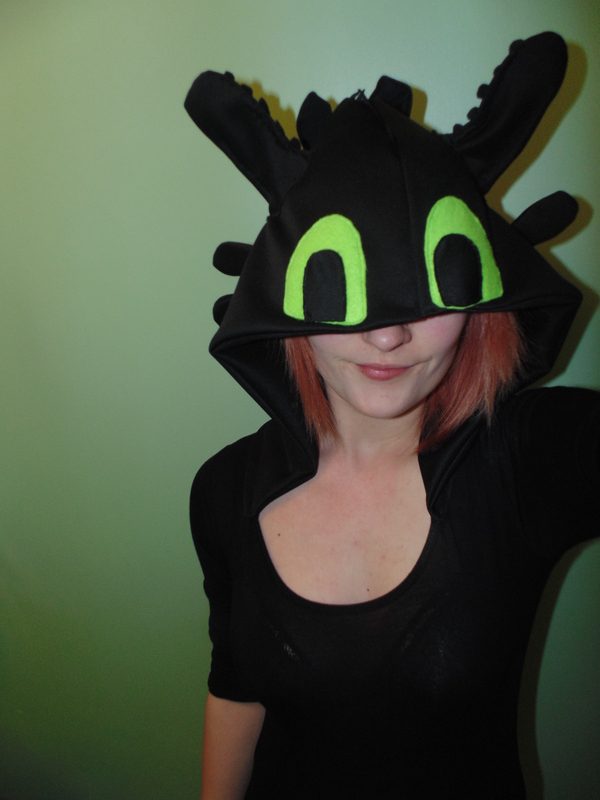 Voila, basic hood is complete. Now you have to sew it to the pre-bought dress. Make sure you wear it when pinning the hood on to get it right. Asking someone else to help you makes life a whole lot easier. 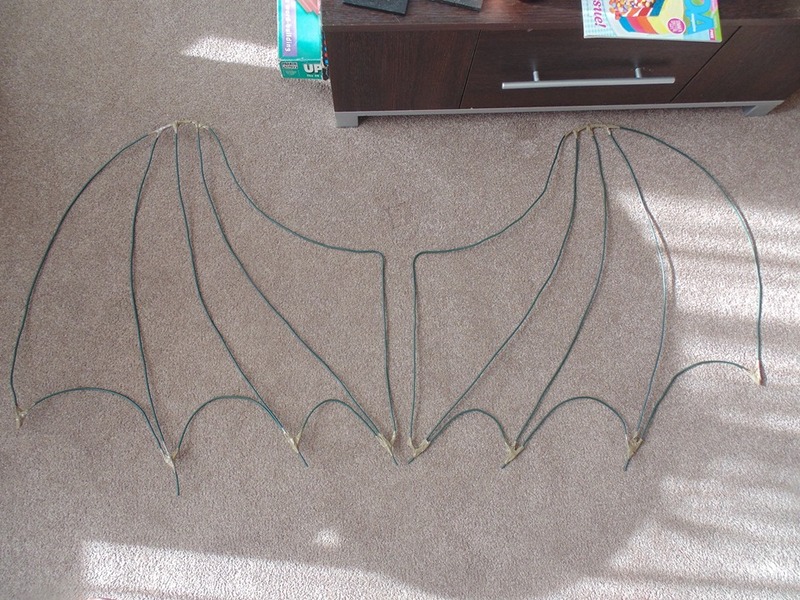 After that, start bending your ten pipe cleaners into the shapes of Toothless’ ears and extra sticky-outy bits. 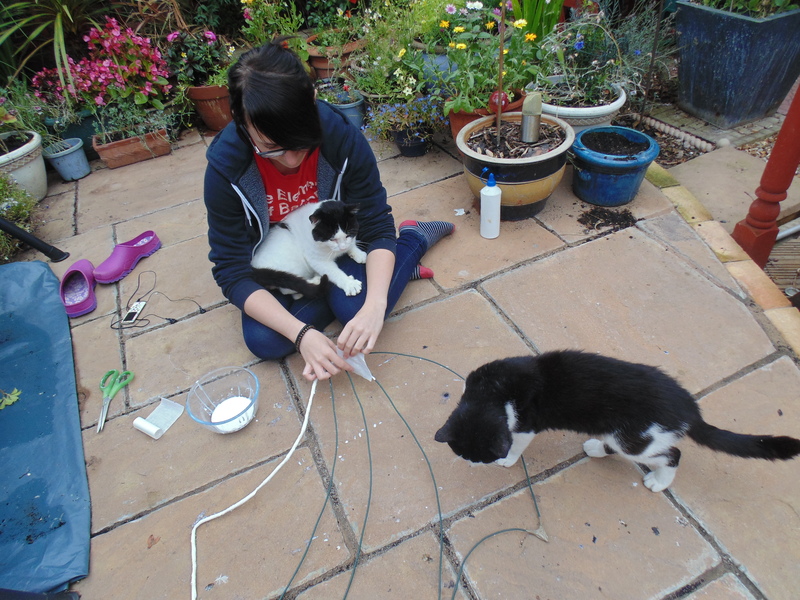 You’ll need to cut around these pipe cleaner shapes, then sew pockets for them to slide into. They’re quite fiddly, but worth it in the end. 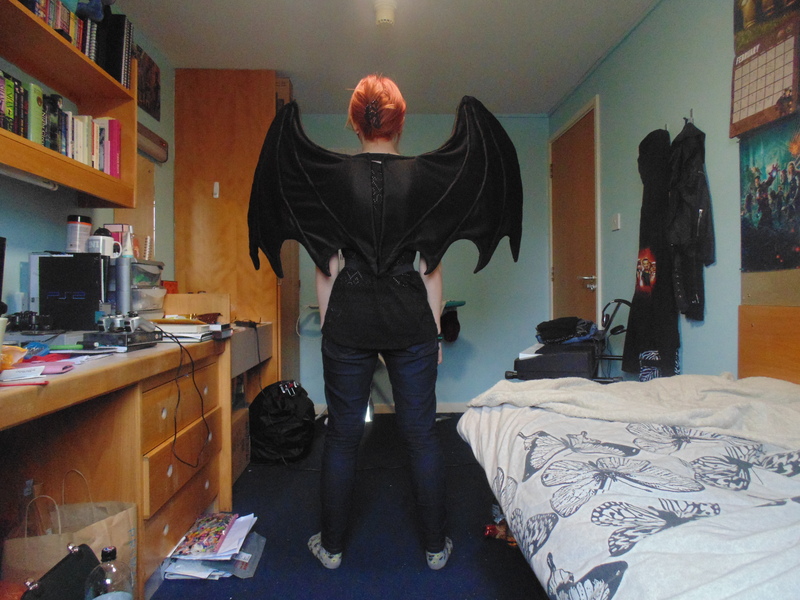 I had a fair amount of trouble from the actual ears. They never looked perfect to me. They have scales similar to the ones running down the centre of the hood. 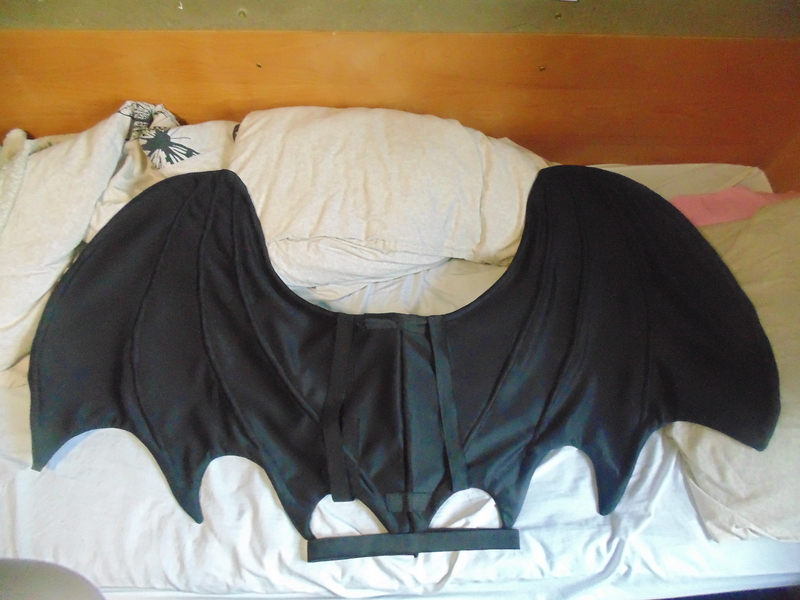 I found it awkward to align these parts on the hood symmetrically whilst wearing it. Again, I’d recommend asking someone to help! 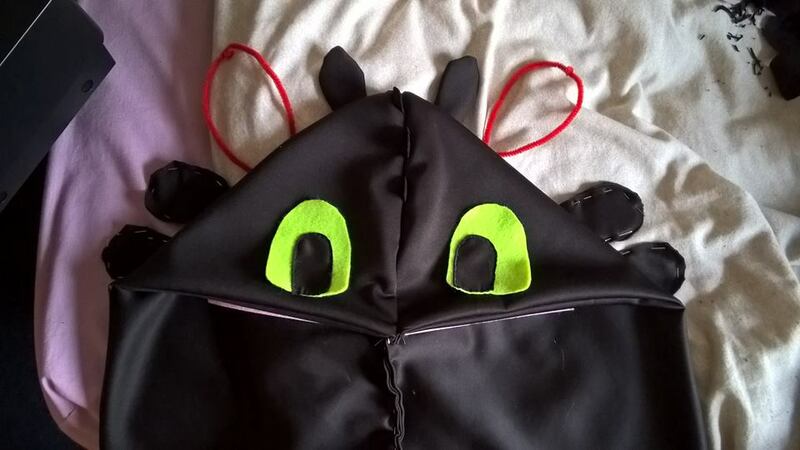 When all of these parts are sewn on, you can attach the eyes. Then it’s just fine tuning, like trimming down the scales if necessary, or adjusting the angles of the ears. 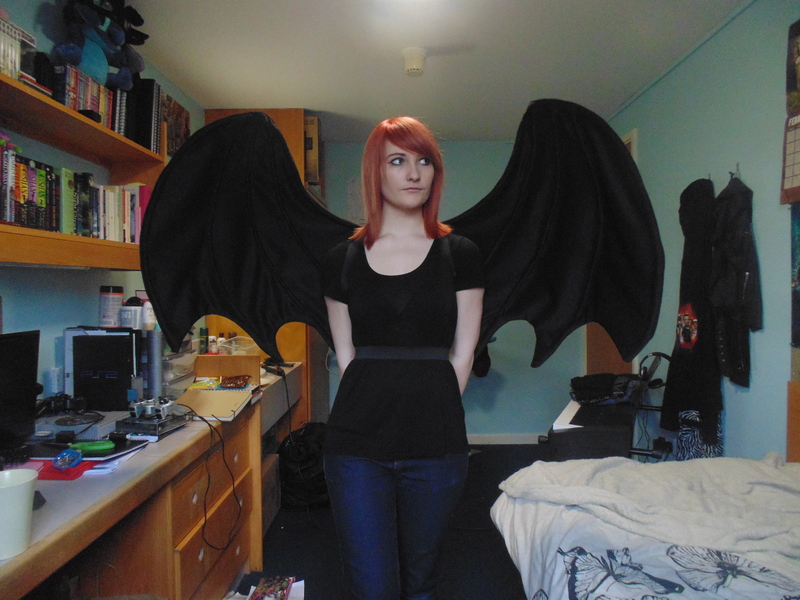 But here you have it: one Toothless dress, all ready to go! 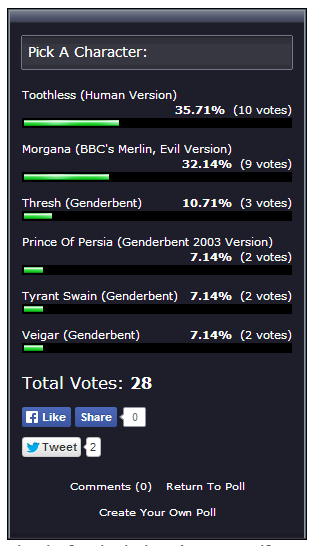 Thanks to all for voting! I have so many ideas but I want to do all of them! So I’d like you guys to help me out. 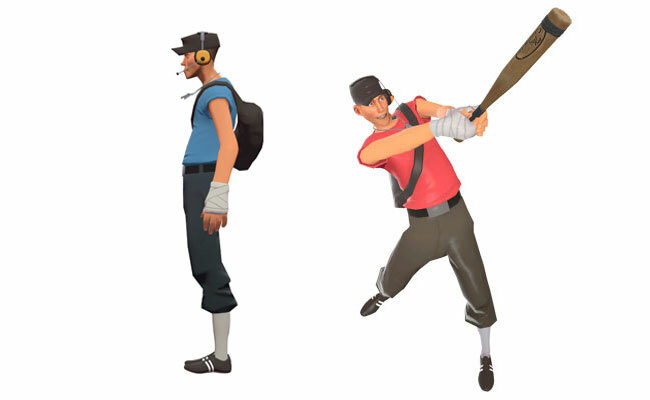 I’ve compiled a list of characters I want to cosplay. All I need you lovely people to do is vote! And of course I’d blog my process, no matter how disastrous! 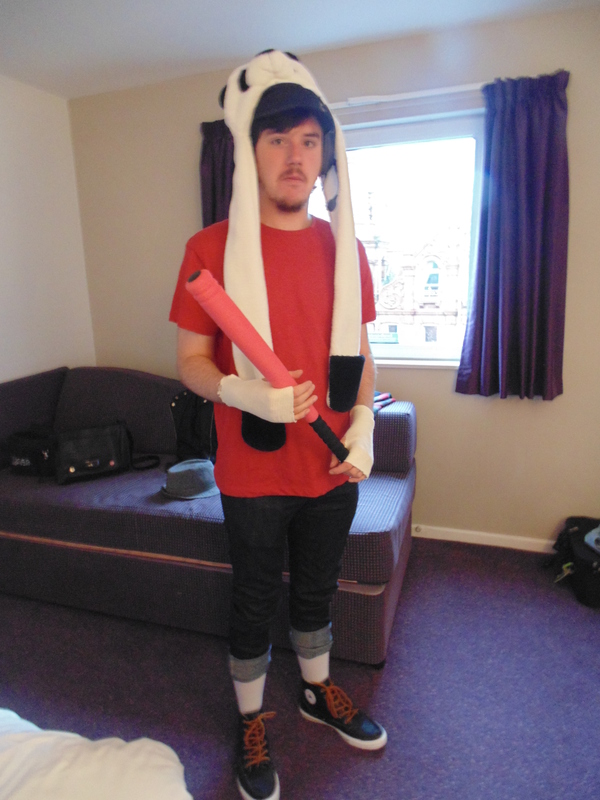 My boyfriend has lately gotten re-obsessed with Team Fortress 2… So he cosplayed as Scout for Manchester MCM Expo this year. 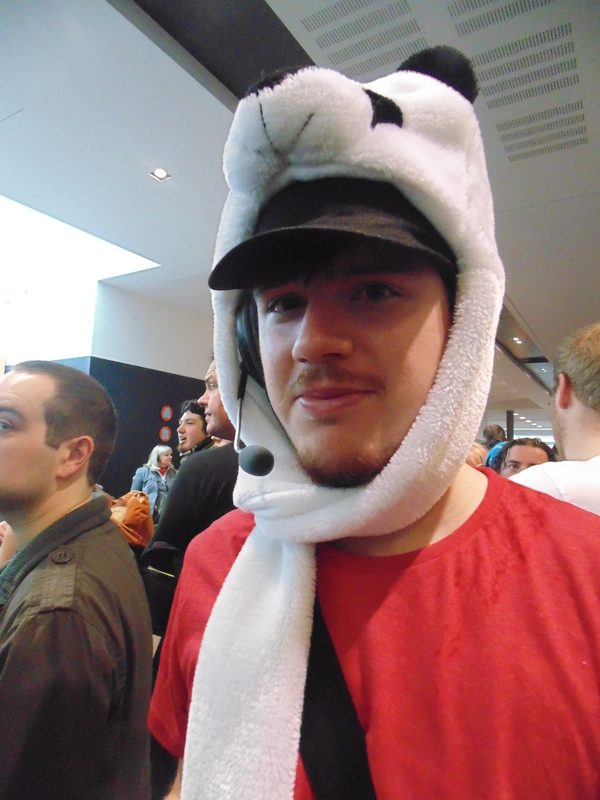 It may not have been a difficult or expensive cosplay, but it was effective.